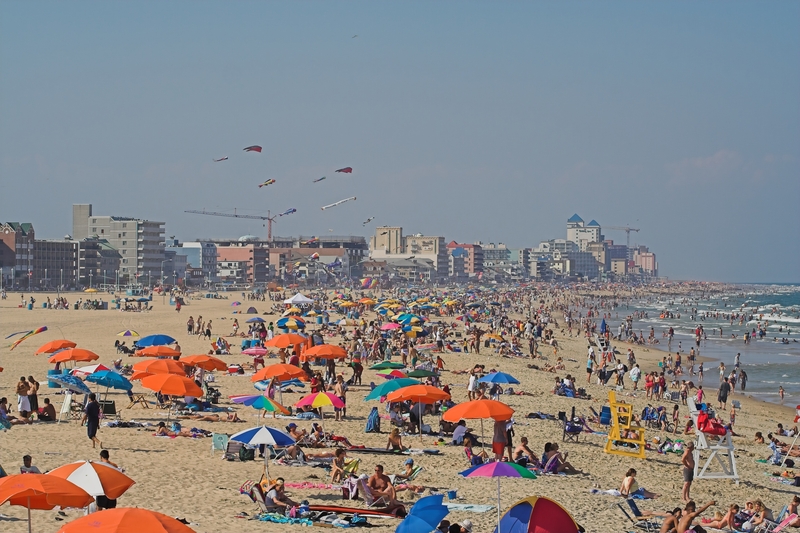 As we look forward to an upcoming 2019 summer season in Ocean City, we’re also looking forward to all of the new excitement coming to town! In 2018, we saw hotel additions such as Fairfield Inn & Suites and the Residence Inn, along with new restaurants including Tailchasers, Mad Fish, and Denny’s. Ocean City even welcomed a new craft brewery, Ironweed Ale Werks. West Ocean City also brought some excitement in 2018, with a new Park Place Plaza where you can now find Park Place Jewelers, Tequila Mockingbird and a Dolle’s Candyland! While 2018 brought us so many tasty eats and new things, we’re so excited to see what the upcoming 2019 season has in store! If you ever venture past 45th St. on Coastal Highway, you’ve probably noticed the massive construction being done to the left of Taphouse Bar & Grille. This new hotel is set to open March this year, and is moving along at a steady pace. Planet Maze has officially left us, and the old site is already slated for new construction! A Hilton TRU hotel will be taking the place of the old laser tag phenomenon. The Sea Bay Hotel on 60th St. will be doing a complete renovation from head to toe, remodeling and upgrading its facilities and amenities! If you’ve spent any time in town recently, you have without a doubt been watching the uprising of the Cambria Suites just off the Route 50 bridge on the bayside of 1st St.
Well, keep watching because the site is expected to remain under construction throughout all of 2019, and geared to open early on in 2020 for the summer season. If Rhino Chaser Fries, Surfer Rosa Tacos, and street corn have been satisfying your taste buds at the 35th St. location, get excited because Shotti’s is opening a new location! Their new spot on the boardwalk will be between 6th and 7th Streets. As Fun Cycles, the scooter store on 26th St., is boarded up, the plans for the new 86-seat Mediterranean restaurant continue. The Worcester County Board of License Commissioners even granted them a liquor license! North of Fat Daddy’s on S. Baltimore Ave. between Talbot and Dorchester Streets will welcome Treehouse Bar and Pub. The restaurant has done so well in town it decided to expand to West OC! The West Ocean City Bad Monkey is currently under construction and will open this year. West Ocean City will also welcome new businesses such as Candy Kitchen, Flagship Premium Cinemas, a new Shopping Plaza in the Hooper’s overflow parking lot, and more. In 2013, a man deliberately drove down the Venice Beach Boardwalk in Los Angeles, killing one person and injuring 16 others. Los Angeles and other big-name cities have faced legal issues surrounding safety barriers, so Ocean City is being proactive on the issue, placing these permanent safety barriers on the Boardwalk and at the Inlet. The Town also plans to begin construction on a new tram facility at St. Louis Avenue and 2nd St. this year. Have you heard of any other new restaurants, hotels, or businesses coming to town this year? Let us know!